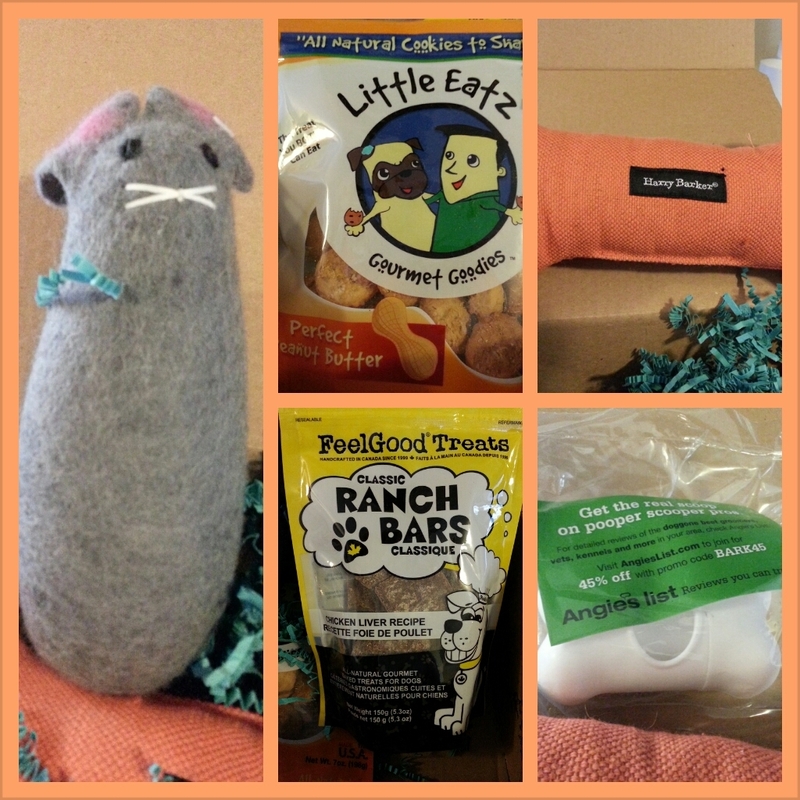 This month’s BarkBox was a huge success! (And by success, I mean the stuffies lasted more than a few minutes!) 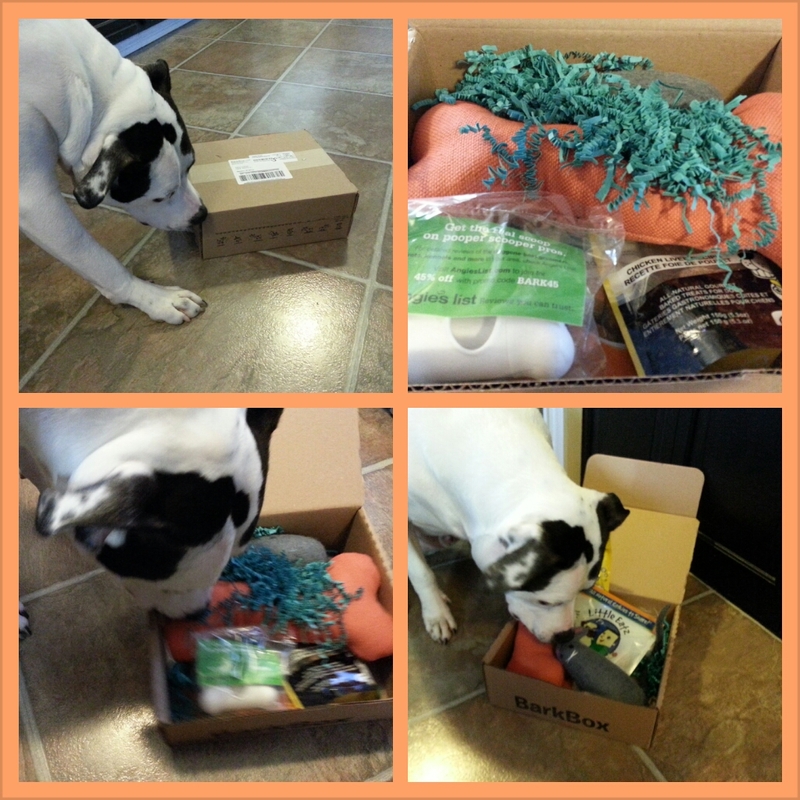 We have loved our subscription so far, because if you consider the treats and stuffies you get, plus any other bonuses like coupons and such, you get a box in the mail every month, new treats to try, a new stuffie or two to keep your pooch busy and access to products I might not have tried otherwise. Ray really liked the Harry Barker﻿ hemp bone toy because, well, anything with a squeaker is great for him. While checking out their website, I can tell that I’ll be back there to do some shopping. The felted wool mouse was great as well. 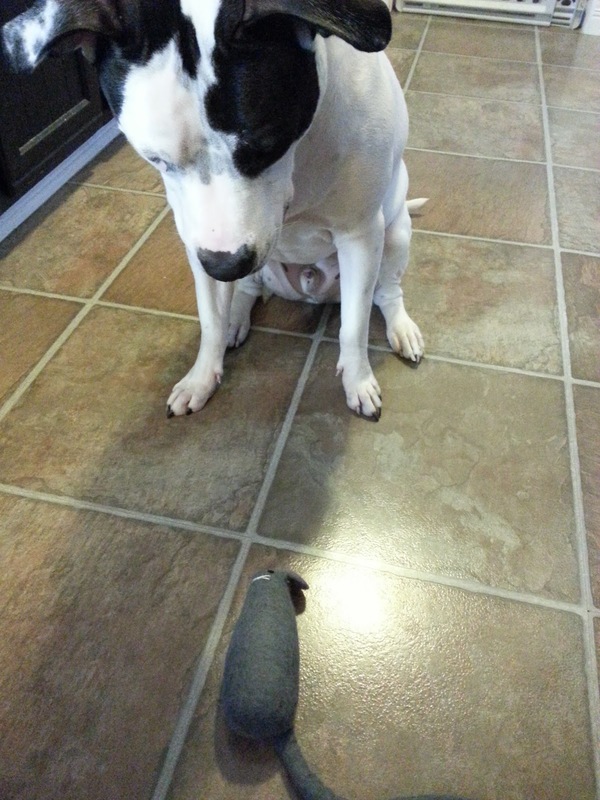 There was no squeaker which probably helped extend it’s life to well over an hour. We thought it was really well made and I loved the fact that there were really no seams to pick at. Ray was also really excited when he saw the two nicely sized bags of treats, though not so excited when both bags went unopened into the pantry, but since we have an abundance of home made sweet potato treats, chicken jerky and lamb lungs from greenDogGoods and some various other things, he’ll just have to wait for these. All in all, a very successful BarkBox! How fun! I bet he really looks forward to mail just for him! For some reason (living in Chicago?) we have quite the mouse stuffy collection…I love the felted wool mouse. Eek! The pooches haven't gotten their March Box yet…excited to see this in real life!! What a fun box! So great to get that in the mail. I actually got a good deal on the Pawbox so I haven't cancelled that but it is definitely not even close to being as good as the BarkBox.